Trial attorney Robert L. Parks is committed to building a better future for his clients, their families and the entire South Florida community. 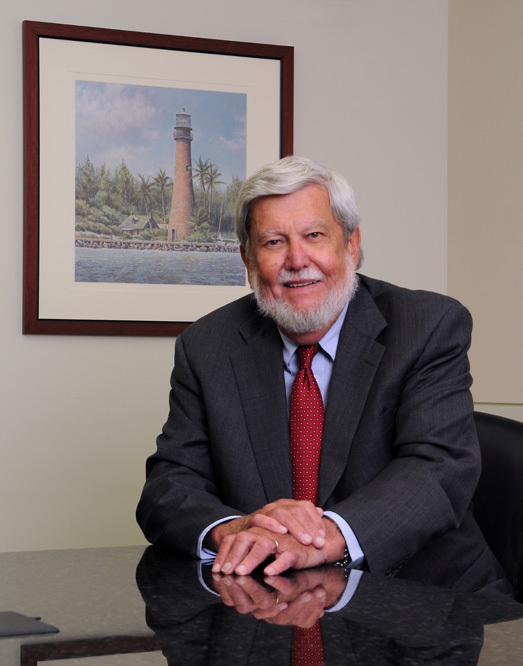 Since being admitted to the Florida Bar in 1964, he has represented hundreds of victims of aviation, resort, cruise line, manufacturing and automobile negligence in the Americas and around the world. Through the years, Parks has also helped hundreds of pro bono clients who could not afford the services of an attorney, while teaching trial skills to younger lawyers. He also serves on the board of the National Judicial College, which provides training courses to state court judges around the country.” I’m proud to be part of the college, which is dedicated to upholding the high standards of our judicial system,” he said. Resort operators, hotel companies and cruise lines do everything possible to reduce potential liability, Parks added. One of the key disclaimers in a travel contract involves the “choice of forum,” so if a serious accident occurs in The Bahamas, Mexico or Jamaica, for example, the law of that country will apply to the case. Parks has been successful in bringing a number of those forum non conveniens and forum selection clause cases to U.S. courts, including a $3 million ruling in the case of Megan Sands v. Kawasaki for injuries suffered at a resort in The Bahamas. Early in his career, Parks served as pro bono appellate advocate for an indigent man charged with sexual assault. In his appeal of Mills v. Florida, Parks argued that his client’s arrest was illegal under Florida’s outdated vagrancy statute, and was successful in getting the statute declared unconstitutional – a key victory for the state’s homeless population. In the early 1990s, Parks was involved in nationwide litigation on behalf of hemophiliacs who became infected with HIV/AIDS because of lack of screening by blood services, including brothers Ricky, Robby, and Randy Ray from Arcadia, Florida. “One of the reasons blood banks and blood mobiles are so carefully regulated these days is because of those cases,” Parks said. Parks has received numerous awards and accolades for his legal accomplishments, including being named a Distinguished Fellow by the invitation-only International Academy of Trial Lawyers in April. Last year, he was named “Plaintiff Lawyer of the Year” by the Florida Chapter of the American Board of Trial Advocates. Other honors include “Legal Legends Award” from History Miami’s 11th Judicial Circuit Historical Society (2015); “Perry Nichols Award” from the Florida Justice Association, given annually to a Floridian who has fought with distinction for justice throughout his life (2012); and the “War Horse Award,” the highest honor by The Southern Trial Lawyers Association in 2011. Parks has also been a community leader for many decades, serving as chairman of the state’s Environmental Regulation Commission from 1978 to 1986 as the first chair of the Miami River Commission in 1998. The National Audubon Society named him “Environmentalist of the Year,” and he received the National Service to Youth Award from Boys and Girls Club of America in recognition of 30 years of devoted volunteer service.